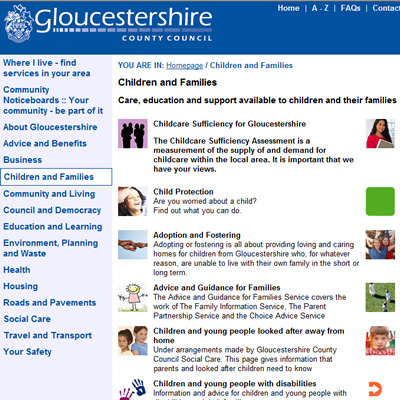 Web Of Ideas were contracted by SunGard, the outsourcing partner for Gloucester County Council, to develop internal web-based (intranet) systems designed to record information on children under the care of the council. The systems were required by a central government mandate requiring data to be collected on all children in the care of the council. This data is then analysed to highlight potential issues. 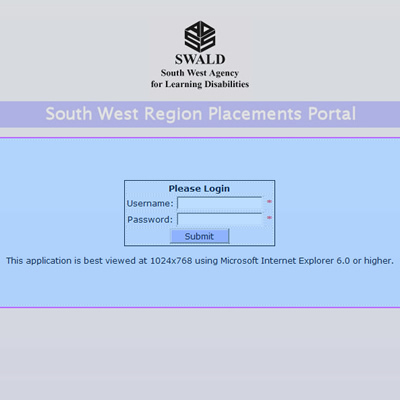 Web Of Ideas were contracted again, following the successfuly implementation of the above system, to develop a website to enable local authorities in the South West of England to find care home places for adults with learning disabilities. This website provides a matching service. 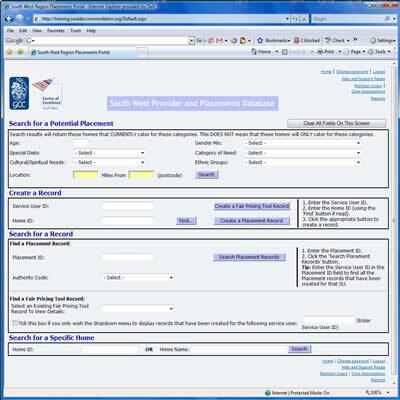 Care home providers are given secure logon details so they can enter their vacancies, and local authorities can view these vacancies in order to place people. The website is secure (using SSL / https) and only accessible via authorised logon.